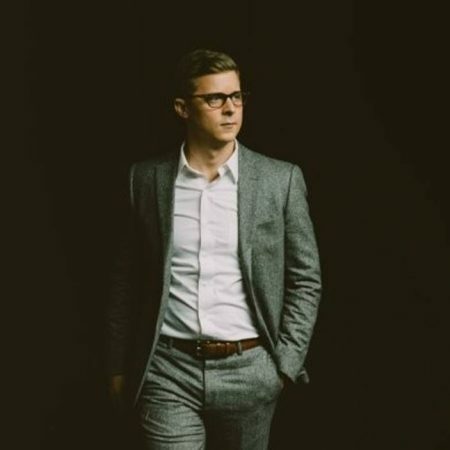 ProcessWest magazine sat down with Alex Robart, CEO of Ambyint, to look at the burgeoning field of Artificial Intelligence (AI) in the oil sector, and how this technology can take the oil sands to the next level. PW: What are the opportunities to bring AI into the oil sector? AR: The opportunities for AI into the oil sector are many. The oil and gas industry is dominated by technology that is decades old. A good example is large depleted fields, where companies see little reason to invest. In these types of cases, AI can bring numerous benefits including increased production, reduction in repetitive tasks, and reduced operating cost. PW: How does AI benefit well operations? AR: AI provides benefits for operations in numerous ways. On the production side, (where our technology is focused), artificial intelligence and machine learning is able to provide customers with valuable answers – directly from the vast amounts of data that is generated on a daily basis. One of the immediate benefits derived from AI is the removal of repetitive tasks from the day to day functions in operations. This enables production engineers to focus on more important tasks that require human interaction. AI platforms are also able to provide customers with a visual representation of operations in real-time, 24/7. Lastly, AI and machine learning provide optimization that is only possible with computer processing (humans are not able to optimize every well, every second, every day). PW: Ambyint was recently deployed to help optimize all of Equinor’s Bakken Shale wells; walk us through that deployment. Determination of timely well issues, such as gas interference, flumping, and solids issues among the analytical criteria. Ambyint deployed its IIoT-enabled edge controllers to deliver high-quality, stroke-based data to improve physics models on 50 wells in the Bakken. Ambyint provided an end-to-end solution with Amazon Web Services (AWS) as the cloud provider. For Ambyint, AWS has proved to be an advanced and reliable provider for managing software infrastructure and ensuring a secure environment. The collaboration with AWS and seamless integration has enabled Ambyint to improve well economics for its customers across many regions and plays. Reduction in man hours for well optimization and repetitive tasks. In addition to the benefits realized above, Ambient was able to provide real-time visibility and control to the operator by using the Production Optimization Platform. PW: How can this help the oil sands? AR: The technology that is being used by Ambyint can be used in any type of play or formation. We can deploy the technology in all producing wells using rod pumps (which make up the majority of artificial lift pumps across the U.S.). PW: What are the potential savings utilizing smart automation ­– both in labour and operational costs? AR: Potential savings can reach millions. However, it varies and is dependent upon the field, client, and the type of automation systems deployed. Our work with AWS allows us to provide an end-to-end solution that is most cost effective to our customers, adding savings in additional hardware and computing capacity. In a recent pilot with ConocoPhillips, we were able to save the customer $41,000 in only 20 wells from electricity costs and deferred workover savings. Over a year, the saving would amount to $510,000 in the field. While there can be significant reduced costs, we have also seen significant profits with our Ambyint solution. In another pilot deploying the Ambyint solution, Equinor was able to increase production by six per cent by autonomously speeding pumps, which equates to $80 million per year across the full field. PW: Where is the technology headed in the decade to come? AR: The oil and gas industry will continue to leverage the benefits of artificial intelligence in the entire lifecycle from upstream to downstream: drilling, completions and production to refining. We are at the peak of AI in many industries and it is only natural that the oil and gas industry continue to follow suit.